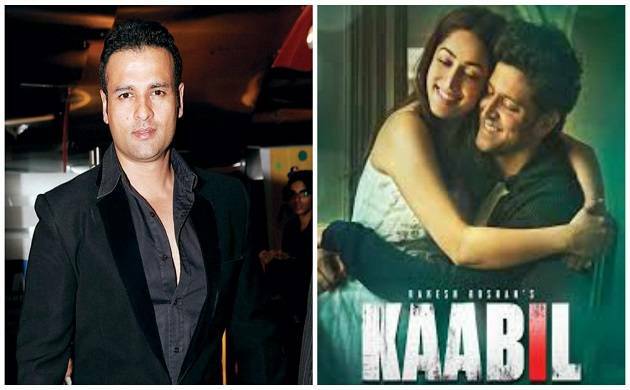 Actor Rohit Roy reveals he initially refused to do ‘Kaabil’ as he wasn’t sure if he could pull-off the negative character. But the actor’s menacing turn in the upcoming movie is creating a buzz. Rohit features in the film as a baddie, who is being chased by Hrithik Roshan’s blind character to seek revenge. When director Sanjay Gupta narrated the film to him, Rohit was “blown away with the premise” but was hesitant to sign the film. “When he narrated me my role, I said no to the film. I said I can’t do it, and he was taken aback too. I was worried because in 20 years of my acting career, I’ve never done this kind of role,” Rohit told. The 48-year-old actor, however, did come on board later for the project which would feature him alongside his elder brother Ronit Roy. The action-thriller features Hrithik as a blind man, who avenges the death of his girlfriend, enacted by Yami Gautam. Rohit says having Hrithik as a co-star was an absolute delight, as the ‘Bang Bang’ actor is selfless and caring. “A lot of credit goes to Hrithik. While filming he made sure my confidence was at another level. Whether it was rehearsing for the fight sequences, doing them, he took extreme care. “There was a shot where he hits me and I had a dead fall. But there was no crash mat that day. He didn’t give the shot unless a crash mat was arranged. He then called for his own and then gave the shot,” Rohit adds. ‘Kaabil’, produced by Rakesh Roshan, is scheduled to release on January 25.